It&apos;s been raining for days, so I haven&apos;t made it out on the greens yet this summer, but thanks to Footjoy, I&apos;m going to be more than ready! 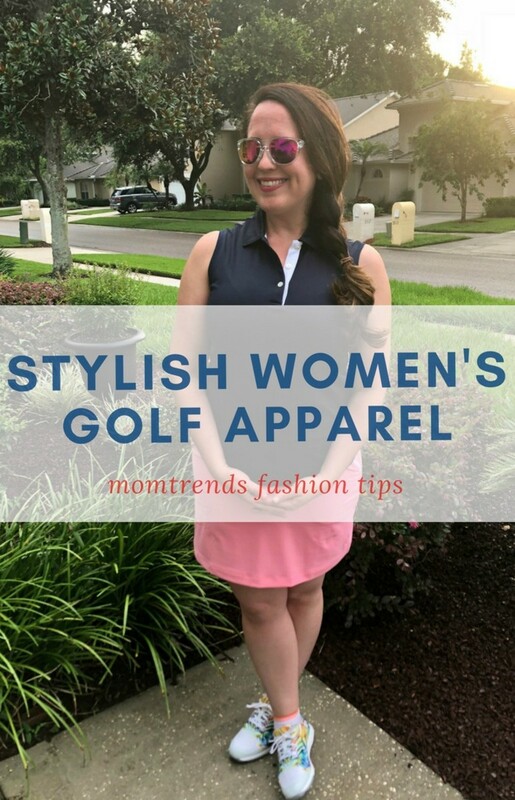 Remember that stylish women&apos;s golf apparel I mentioned? Well, I found some. 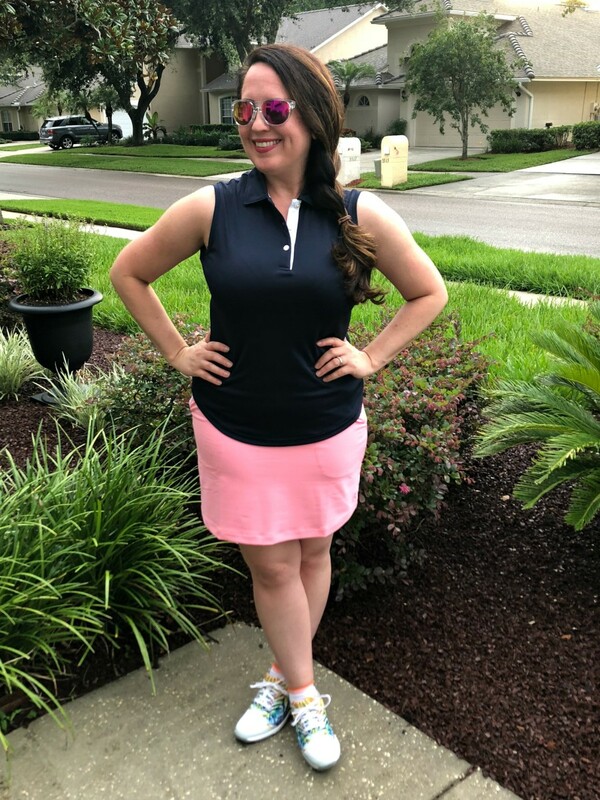 I found some SUPER cute pieces from golf shirts, to golf skirts, to golf shoes and even socks. 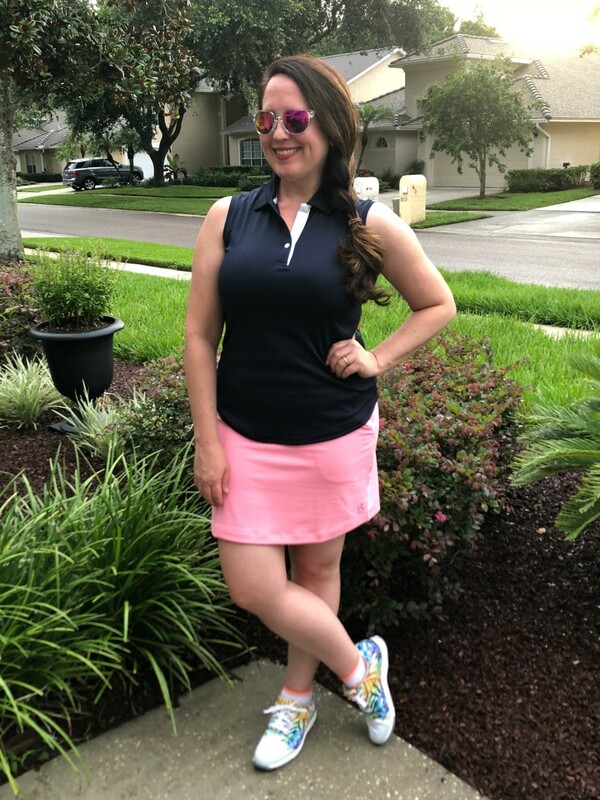 Hey, a girl has to think about her outfit from head to toe...even her golf outfits! 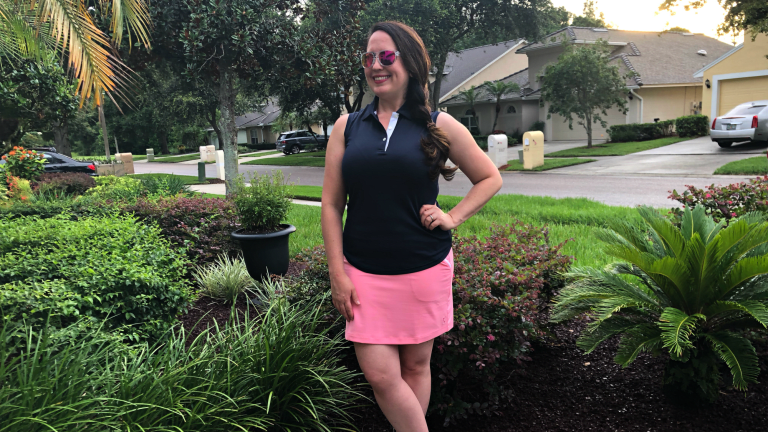 Now I learned from my hubs that the most important thing you should focus on when you&apos;re thinking about golf apparel is comfort. It&apos;s hot hot hot here in Florida and you don&apos;t want to be sweating all over the course. THEN you can focus on style. Luckily for me, Footjoy had plenty of pieces that checked both boxes. You gotta love it when you can achieve comfort and style with one fun look! So, let&apos;s talk about the details shall we? 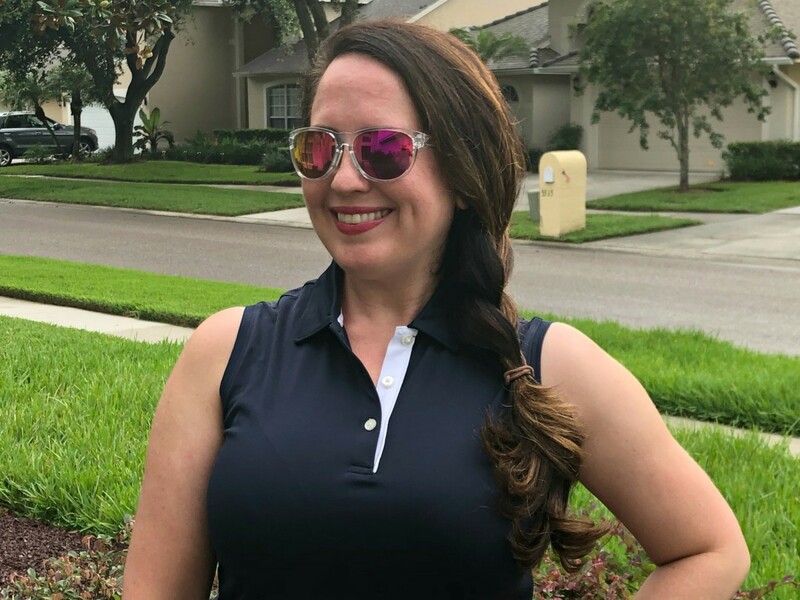 My golf shirt is the ProDry Interlock Sleeveless Golf Shirt. I can tell you I shot these photos in a million percent humidity and I still stayed nice and dry. Also, on the dry front was my Performance Knit Skort. Is there anything better than a skort? I still love them as much as I did as a kiddo. Just sayin&apos;. 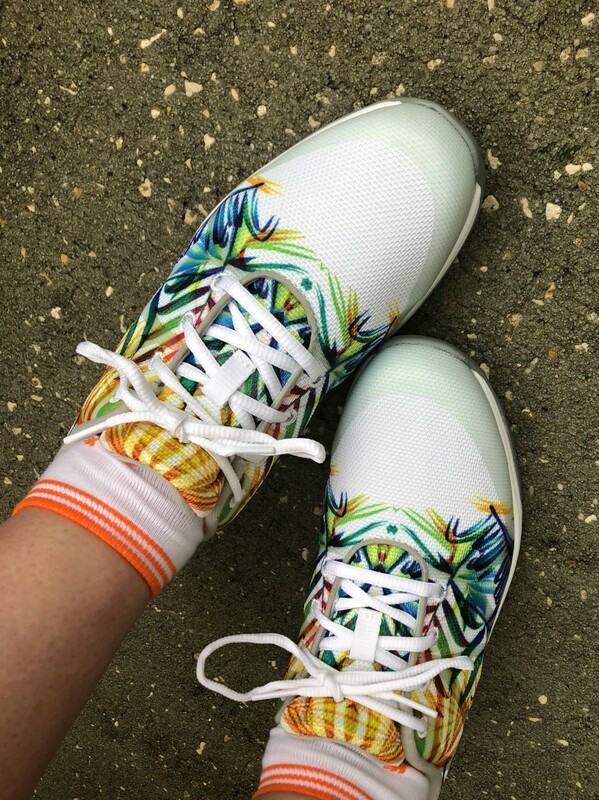 The kiddo in me is also crushin&apos; big time on the oh so fun tropical print FJ Leisure Golf Shoes and ComfortSof women&apos;s golf socks! As you can see, Footjoy has plenty of stylish women&apos;s golf apparel. I highly suggest you head on over if you too are ready to get some golf time in this season!